Google Spreadsheets offer powerful online calendar capabilities tracking your daily tasks and organizing weekly workflow to keep you focused and productive. Why Would Anyone Want to Use Google Sheets for Scheduling? …when there are so many task management apps available? Google Documents are perfect for collaboration: They are fast, real-time and, again, free (unlike other collaborative apps). Share your schedule with key contacts (e.g. family and/or team members) for them to manage it and/or keep track of your meetings. 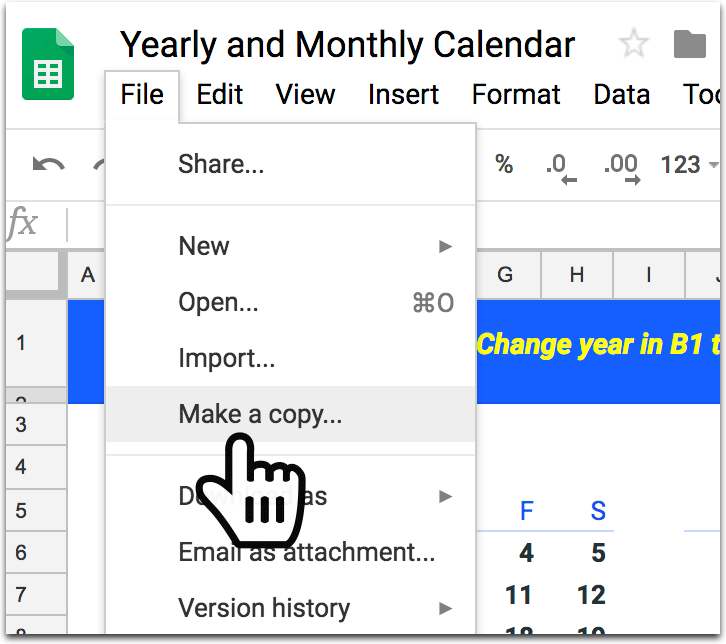 Create a shared Google Drive folder to easily share multiple calendars and schedules. Google Docs are great for creating a sharable writing checklist. Google Docs are web based: On desktop there’s no need to install a new software to your computer. Use any browser (Google Chrome, FireFox, Safari, Internet Explorer, etc.) to access your Google Spreadsheet schedule and sync it between your various devices. You can use the same Google account for as many Google apps (i.e. Gmail, G Suite, Google Maps, Google Analytics, etc.) as you want: No need to create and keep track of new accounts. 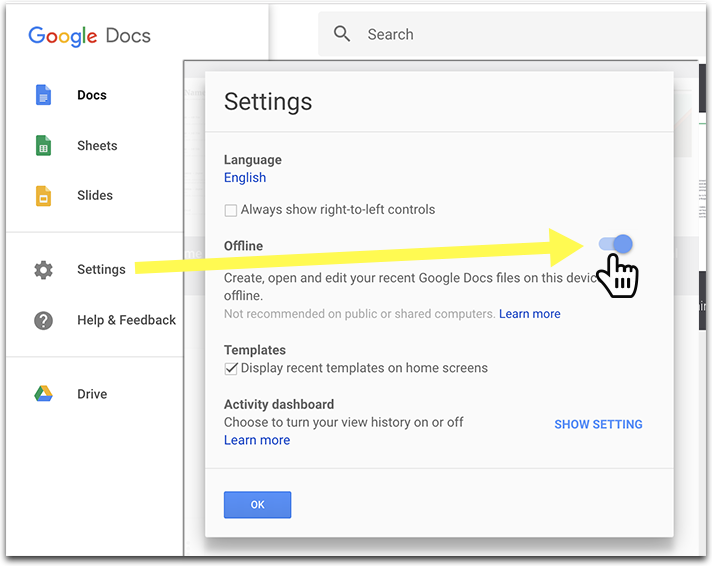 You can use Google Docs, Sheets and Slides offline now. 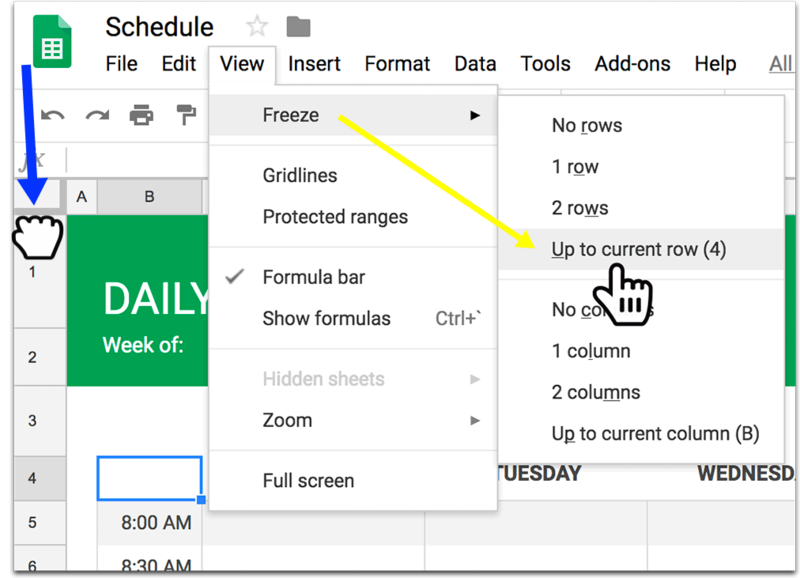 Here’s how to set up your weekly planner using Google Sheets. 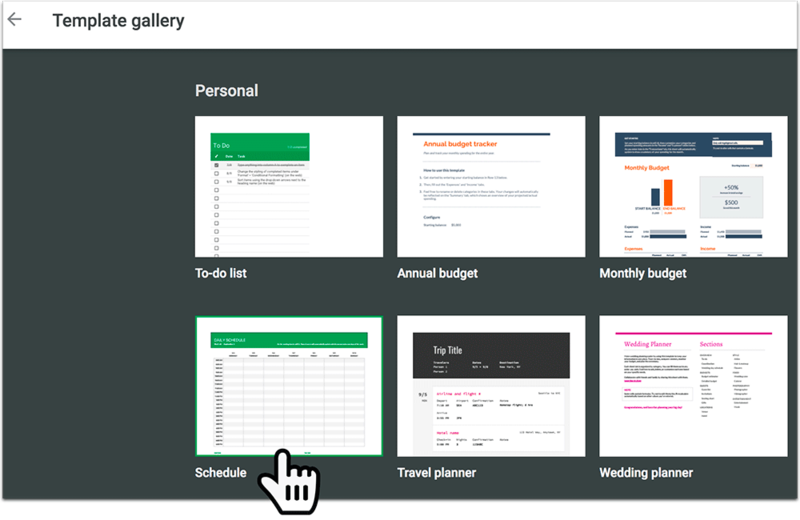 This will create a blank Google spreadsheet using that template you can instantly customize. Step 3: Set the starting date in cell C2. Rows 3 and 4 will automatically update to fetch the correct dates and days of the week. The beauty of this template is that you can re-use it every week by simply changing the starting date. This way you’ll preserve all the weekly workflow without having to re-enter it. 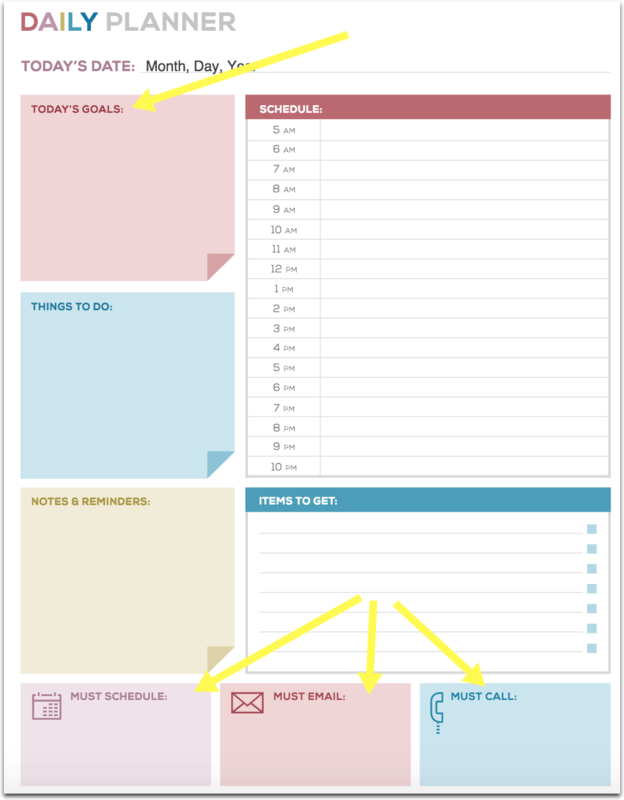 To make your task management routine more visual, consider color-coding your recurring meetings or tasks (you can generate the colors using conditional formatting to automate your task labeling), so that they stand out every time you start a new week. This will create your own new Google Spreadsheet you can modify. 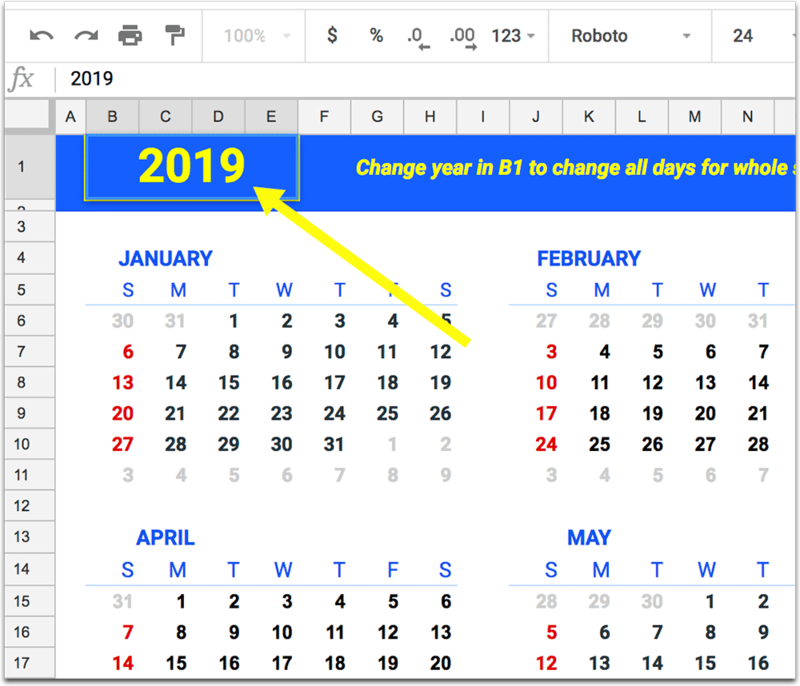 The beauty of this calendar is that it is fast to re-purpose for every new year giving you a handy outline of your upcoming year: Duplicate the file each year to instantly create a fully formatted schedule. 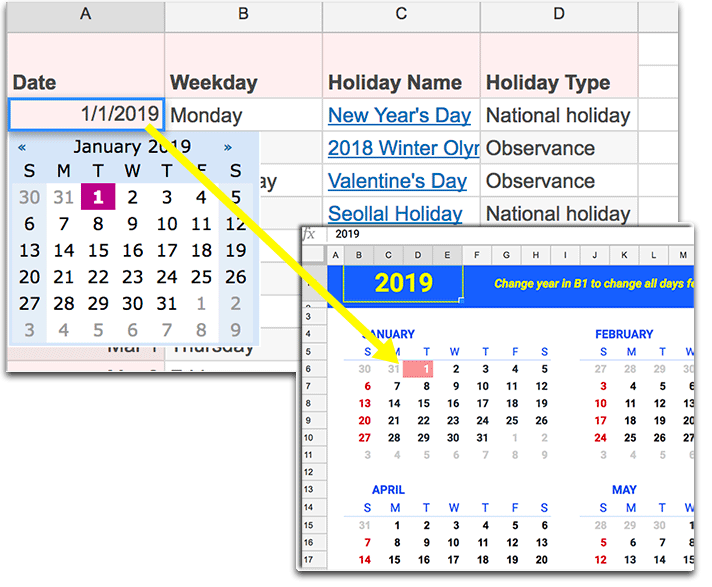 The only part of this spreadsheet that you’ll have to update manually is the “Holiday” tab (only if you want those holidays to be highlighted on your yearly calendar). How to freeze header row in a Google Spreadsheet? 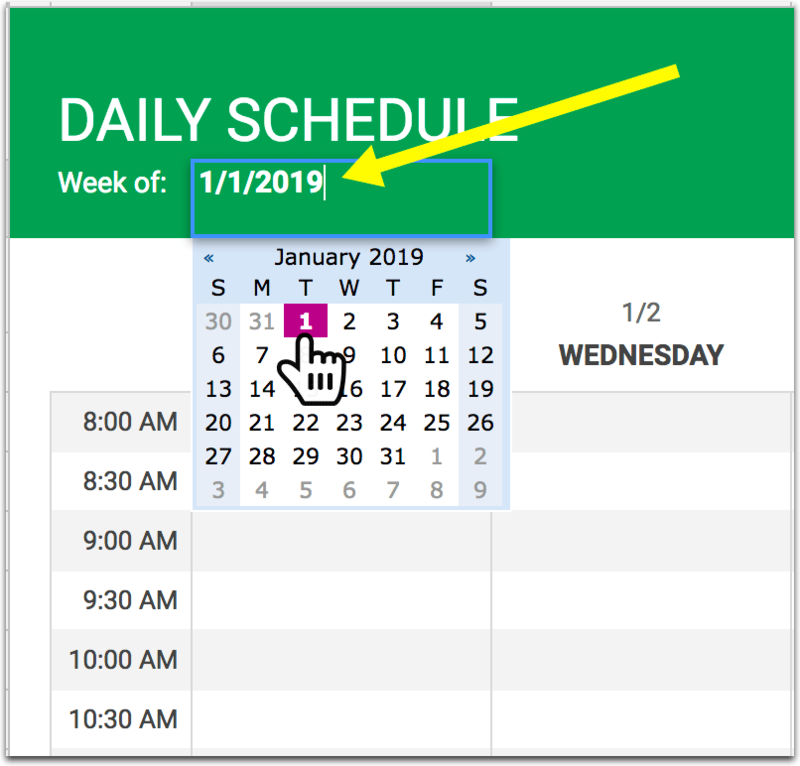 To clearly see which day your schedule refers to once you start scrolling, consider freezing the top rows (those that show days of the week and dates). Select a cell in a row or a column you want to freeze (in our case, these are those rows that show the date). Alternatively (see the blue arrow in the screenshot above), you can drag the gray bar down to select the rows you want to freeze. You may find Conditional Formatting very useful when it comes to color-coding your tasks and meetings based on the words you use in them. For example, your key word in step 4 above could be “write”. 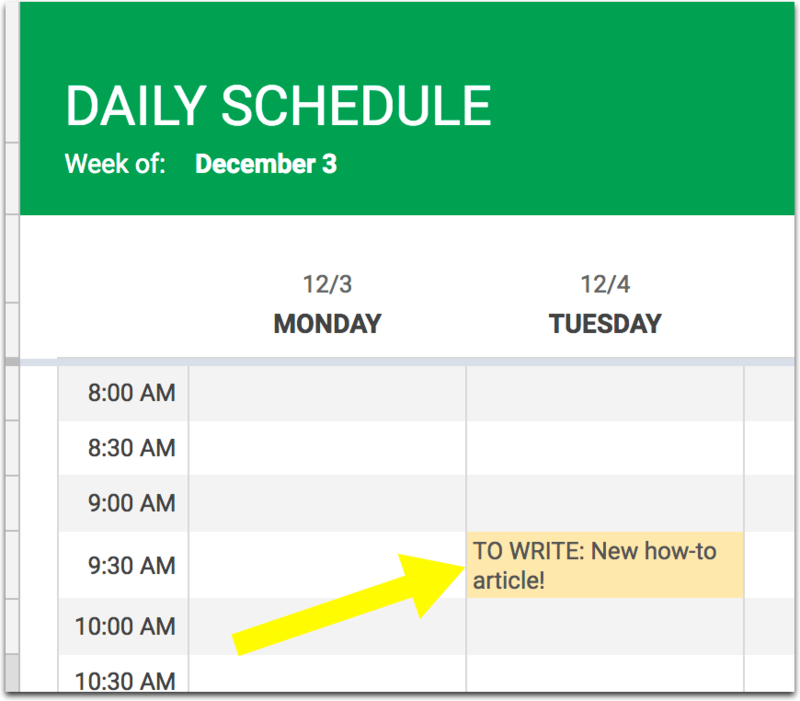 Now, any time you plan to write a new article, the cell will be automatically highlighted to stand out in your Google Spreadsheet schedule. 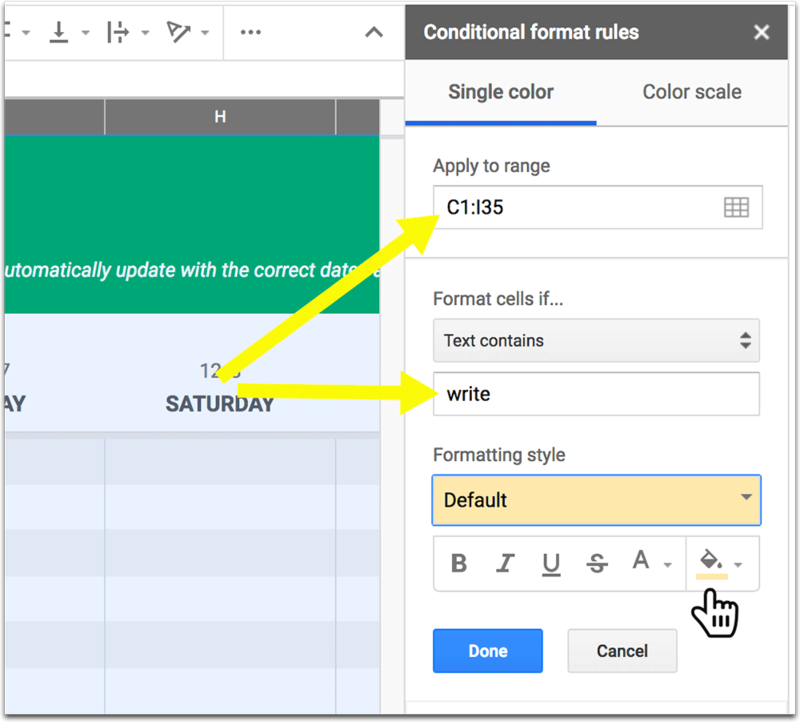 You can add as many conditional formatting rules as you need to color-code your schedule effectively and organize your tasks productively. Google lets you edit your Google Spreadsheets offline without downloading them. This way you will be able to work on your schedule even without Internet access, e.g. on your laptop when on a plane (Of course, don’t ever enable offline editing on public computers). Let us know in the comments below what you are using Google Spreadsheet schedule for! With powerful permission management and a variety of available add ons, you can achieve even more with Google Documents. Stay tuned and subscribe for more tutorials! Good luck improving your productivity with Google Spreadsheet schedule and calendars.